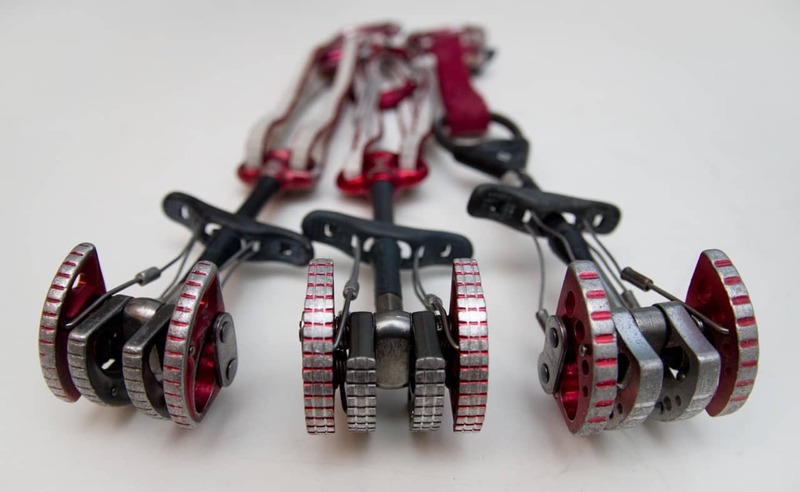 It seems like all the various climbing hardware companies decided that this was the year to come out with new or updated cams: BD has the Camalot Ultralights, Metolius the Ultralight Mastercams (actually these came out in late 2015), WildCountry the new Friends, etc. And while most of these companies have chosen to focus on making their cams lighter, DMM decided to buck this trend and focus instead on holding power when updating the Dragon Cams. And while it’s not surprising that this innovative company from Wales would decide to focus on quality over weight or cost given their reputation for excellence it’s still really nice to see. 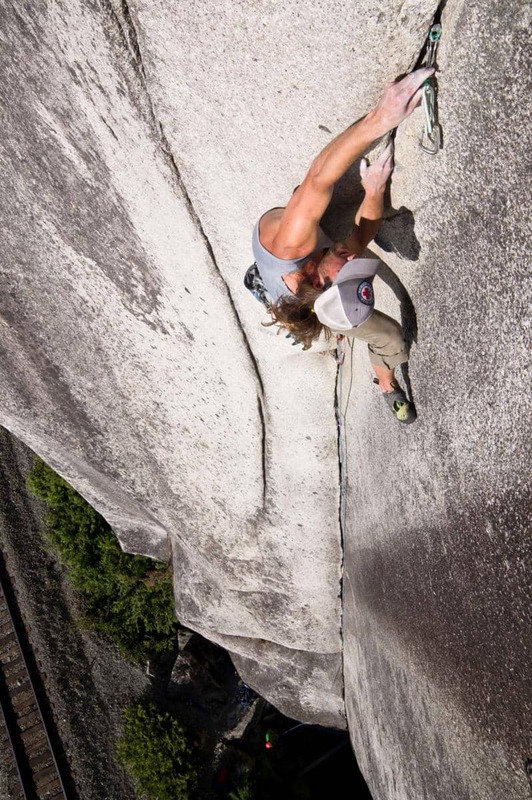 Testing out the new DMM Dragon cams on a Squamish classic with a good buddy. So what’s different with the new Dragon cams? Well the first thing that’s immediately noticeable is the raw aluminum finish on the faces of the cam lobes. Basically, the faces of the cam lobes have been ground after anodizing to remove the hard finish as it’s more slippery on the rock than the raw aluminum. Next, these faces have had a pattern ground into them, two grooves that are parallel to the lobes in addition to the standard transverse grooves. DMM is calling this the TripleGrip and the idea behind it is that the corners and edges on the grooves in the cam face are what ‘bite’ into the crystals and micro-features in the rock to create the friction needed for the cam to hold. So by introducing the two longitudinal grooves DMM has tripled the number corners. 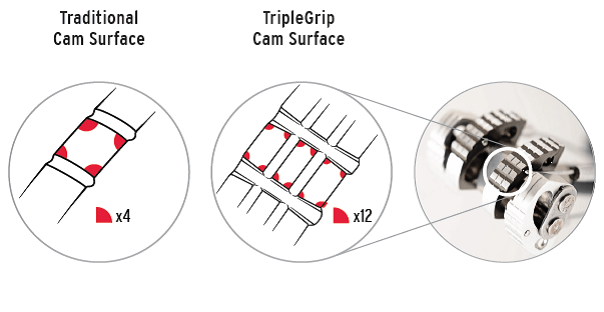 A graphic that I stole from some DMM literature that really shows what they’re doing with the TripleGrip surfacing. The new DMM Dragon cams lobes have also had a slightly more subtle change made to them though it’s not hard to see if you know where to look. The face of each cam lobe has been made wider through the sweet zone tapering to a slightly narrower width at the extreme ends of the lobes. Again the goal with this change was to increase the amount of aluminum in contact with the rock increasing the friction and so the performance of the cam. Making the lobes a little wider also had the side benefit of making them a little stiffer and so more resistant to deformation or damage. Comparison of the lobes finishes and thicknesses for the various cams: Old DMM Dragon left, new Dragon center and a BD Camalot right. DMM has stated that these changes to their cam lobes have been tested and that they provide two main benefits: First the cams generate more friction across a wide variety of rock types and second that they have an increased performance in sub-optimal placements. I expect that this will make these cams excel in hard and slippery rock like quartzite as well as in soft rock like sandstone but don’t really want to test that one to failure on the sharp end. 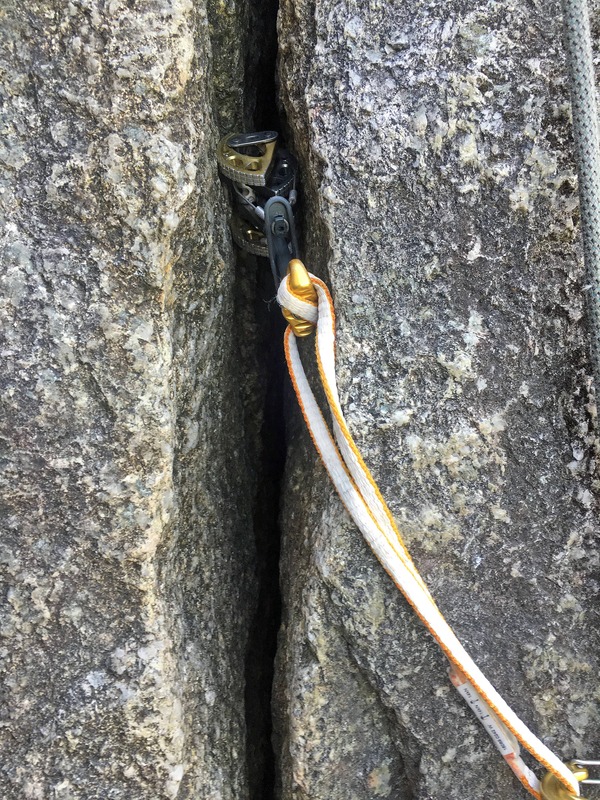 I really like the idea that they hold better in marginal placements though and they’ve become my go-to when the the crack is a bit shallow or flared or the rock is wet or slippery. The BD Camalot on top with the new Dragon Cam in the middle and the old Dragon on the bottom. Some smaller changes to the cams include a smaller, more streamlined bar tacked stitched joint on the sling and a slightly different thumb press shape. So what hasn’t changed from the old Dragon Cams? Well, despite all the changes to the lobes DMM has managed to keep the weight about the same as the old cams which averages out just a shade lighter than the C4’s. They’ve also kept the 8mm extendable Dyneema sling with a solid thumb press which means that the cams do not have to sacrifice strength for the extendable sling feature. The Dragon cams still come with the same cam sizing and colors as Black Diamond, which has become the industry standard. However it’s important to note that they use a different numbering system (ie. #1 Camalot is a #3 Dragon but both are red) so be careful racking up or buying online using just the cam numbers. Yellow Dragon cam placed in a slightly damp and slimy crack, I like knowing that there is some extra friction working for me at a time like this. I really liked the smooth action, bright colors and the extendable sling on these cams right out of the box. After using them for a few months I’ve come to trust them a bit more than my other cams with shaky sub-optimal placements and slick or wet rock and they always seem to find a way onto my rack when I’m heading out the door. Overall: An absolutely fantastic cam! 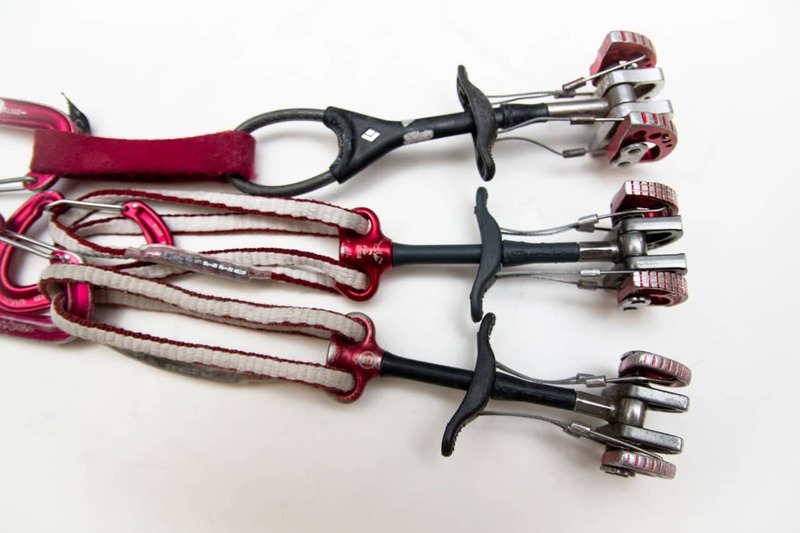 If you don’t mind spending a little bit more money these babies provide a lot back in the form of better holding power (which can help ease the mental battle a little), extendable slings and so on while not weighing any more. DMM supplied us with a few cams for testing but this in no way influences my review. Product shots by Bonsta.ca.